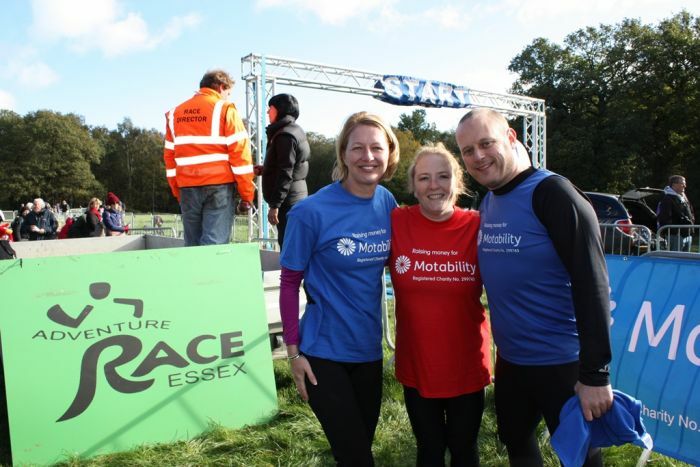 A team of 22 runners, including Harlow business woman Ruth O’Connor, have raised over £6,500 for local charity Motability in the mud-filled obstacle race, Lactic Fallout. The team completed the 12km course earlier this month, which consisted of 33 natural and man-made obstacles on undulating farmland, rivers, lakes, ditches, woodland and bogs around Brentwood, Essex. Ruth, who owns ROC Hair & Beauty based in Old Harlow, organised a number of fundraising activities within her salon, leading up to and after the event. Her fundraising efforts, along with 21 other participants raised money for the Harlow-based charity that supports disabled people with their mobility. More information about the Motability Scheme can be obtained by telephoning 0800 093 1000 or by visiting www.motability.co.uk. Be the first to comment on "Harlow runners raise £6,500 for local charity Motability in adventure race"